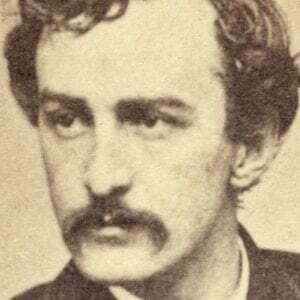 It is thought that Booth wanted the photos for identification purposes connected to the Lincoln conspiracy – and ironically, some two months later, his favorite, “seated, with Cane & Black Cravat," would adorn the Wanted Poster for the assassination of the president. In a portentous postscript, Booth has added: I return to this city in about a week, stop at National Hotel, an will get any letter sent to Fords Theatre. Autograph Letter Signed (twice: “J. Wilkes Booth” and “John”), 3 pages, recto and verso, octavo, Washington, February 9, no year . To Orlando Tompkins of Boston. Very rare in and of itself, it is also estimated that there are only seventeen Booth letters in private hands. You will say I never write without I want something. that may be so, nevertheless I think of you all the same. And as I know, you are aware of my hatred to letter writing and can therefore excuse it. I will say no more in extenuation of my fault. So to the point, would you be kind enough to ask Case to send me without a moments delay one dozen of my card photghs. The ones I want are those seated, with Cane & Black Cravat. He knows the ones I liked the best. Tell him to send them at once to New York No 28 East 19th St. as I hope to be there day after tomorrow, only, to stay a day or two. This is very important as there are several parties whom I would like to give one. So please attend to it upon the receipt of this - and I will do more than this for you. How are you all; and how is Boston. remember me to all. That Oil Company Joe S- and myself started in your city has gone up fine. Stock to day instead of being $1000, is $15,000 per share. P.S. By the way I never acknowledged the receipt of that deed. Thank you, all right. I return to this city in about a week, stop at National Hotel, an (sic) will get any letter sent to Fords Theatre.